Vittorio Loreto is Professor of Physics of Complex Systems at Sapienza University and Research Leader at the ISI Foundation. He is now spending a sabbatical year at SONY Computer Science Lab in Paris. Loreto is coordinating the co-laboratory of Social Dynamics spread among Sapienza University of Rome and the ISI Foundation. His scientific activity is mainly focused on the statistical physics of complex systems and its interdisciplinary applications. In the last few years he has been active in the fields of granular media, complexity and information theory, complex networks theory, communication and language evolution. 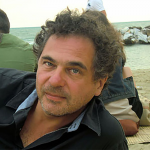 He coordinated several project at the EU level and he is recently coordinated the EU project EveryAware, devoted to enhancing environmental awareness in urban contexts using social information technologies. In this framework he has been developing new tools for web-gaming, social computation and learning. He published over 120 papers in internationally refereed journals and chaired several workshops and conferences. He was the vice-chairman of STATPHYS 23, the 23rd International Conference on Statistical Physics. Loreto is the coordinator of the KREYON project. Vito D.P. Servedio, PhD (ISC-CNR and Sapienza University of Rome) got his PhD at the Technical University of Dresden where he continued his research for other three years as a Post-Doc. In this period he actively collaborated with the Max Planck Institute, and the Leibniz Institute for Solid State and Materials Research in Dresden dealing with the calculation of the electronic structure of metal surfaces. He moved to the Sapienza University of Rome in November 2002 where he started dealing with the physics of complex systems. Since April 2014 he has been researcher at the institute of complex systems (ISC-CNR). 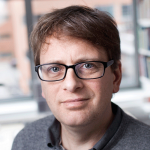 His research focuses on complex network theory, quantitative linguistics, opinion dynamics, innovation dynamics, learning dynamics and human computing. Francesca Tria is a researcher at the Physics Department of Sapienza University of Rome. She got her degree in physics at Sapienza University of Rome and her PhD in physics at the University of Naples Federico II. She spent two years as a post-doc at the ICTP Institute in Trieste before moving at the Institute for Scientific Interchange (ISI) in Turin. Starting from a background in statistical physics and complex systems, she explored different research realms where this expertise could be successfully applied. In particular, her research activity includes complex systems approaches to biologically related problems, such as evolutionary dynamics and phylogeny reconstruction, to social phenomena, such as language evolution, learning and innovation dynamics. She was recently part of the EU project EveryAware, locally coordinating the activities of the group of ISI. She is currently coordinating the ISI team in the KREYON project. Elisabetta Falivene got her degree in Computer Science in 2007 from University La Sapienza di Roma. She worked for Poste Italiane, involved in developing the software that brought the company to make his first entrance into the internet world. From 2009 to 2012 collaborated with Linkem, developing web application. From 2012 worked for University La Sapienza di Roma like System Manager. Currently, she works at the Institute of Complex Systems (ISC-CNR), ISC-Sapienza Unit. Pietro Gravino (Sapienza – University of Rome, Rome and Alma Mater Studiorum – University of Bologna). After a master thesis in the framework of the Complex Systems, he worked as a collaborator for the Everyaware Project. He is a physics Ph.D. student at Alma Mater Studiorum – Università di Bologna and is currently involved in the XTribe platform development and experiments. Bernardo Monechi got his PhD Studenhip at the “Sapienza” University of Rome. His Master Thesis dealt with problems related with the dynamics of long range interacting systems. He has been invovled in the Complex World PhD programme, aiming at analysing and modelling the European Air Traffic within the framework of Complex Systems. His PhD activity also concers the topic of human mobility in urban environments. He is currently working at ISI Foundation. Christine Cuskley completed her PhD at the University of Edinburgh with a focus on language evolution, jointly supervised through linguistics (Language Evolution and Computation Unit; Professor Simon Kirby) and psychology (Synaesthesia and Sensory Integration lab; Professor Julia Simner). Her current research at the ISI in Turin focuses broadly on evolutionary language dynamics. Christine has previously done work on sensory biases involved in bootstrapping linguistic vocabulary, the synchronic and diachronic dynamics of linguistic rules, and the role of social structure in shaping linguistic structure. Giovanna Chiara Rodi got her degree in Physics from University of Rome "La Sapienza", with a thesis on algorithmic education. She is currently a PhD student in Applied Mathematics at the Polytechnic University of Turin. Her research activity is carried out at the ISI Foundation and it is focused on the modeling of learning dynamics on complex knowledge spaces. Indaco Biazzo got his degree in Physics from University of Rome "La Sapienza”. He completed his PhD at the Polytechnic University of Turin with a focus on developing new strategies and algorithms, borrowed from statistical physics of complex systems, to study optimizations problems and high correlated quantum systems. Indaco is now a researcher at Institute for Scientific Interchange (ISI) in Turin working in the project Elise with the aim to study and map subjective perceptions and objective data about cities. Inside the project Elise he is involved in the creation of an app that will allow user to share his urban experiences. Moreover he is interested in studies about urban mobility using new open data, recently made available, about public transport systems with the new informatics tools recently developed by the open source communities. Miguel Ibáñez Berganza obtained his Ph. D. degree at the Autónoma University of Madrid in 2011. Since then he has worked as a researcher in statistical and quantum physics. His scientific interests range from information theory to cognition and evolution, psychology, philosophy and popularisation of science. He is honorary member of Swiss Academy of Social Sciences and Humanities, served on Scientific Committee of the International Human Dimensions Programme (IHDP) and Science & Technical Committee of UN International Strategy for Disaster Reduction. He was Hasselblad Professor in the sociology and applied IT departments at University of Gothenburg and Chalmers University 2006-2011, consulting professor of chemistry at Stanford University 1984-1988. In Silicon Valley he founded and directed The New Curiosity Shop from 1983-2001, which designed and produced hands-on science exhibitions for over 200 science centers worldwide. His Ph.D. is in chemical physics from University of Chicago. François Pachet is director of the SONY Computer Science Laboratory Paris, where he leads the music research team. Since its creation, the team developed several award winning technologies (constraint-based spatialisation, intelligent music scheduling using metadata) and systems (MusicSpace, PathBuilder, Continuator for interactive music improvisation, etc.). In recent past he worked on the creation of a new generation of authoring tools able to boost individual creativity. These tools, called Flow Machines, abstract "style" from concrete corpora (text, music, etc. ), and turn it into a malleable substance that acts as a texture. Applications range from music composition to text or drawing generation and probably much more. His current goal, funded by an ERC Advanced Grant, is to build computational representations of style from text and music corpora, that can be exploited for personalized content generation. He is also an accomplished musician (guitar, composition) and has published two music albums (in jazz and pop) as composer and performer. Ennio Peres is a Riddler Italian, even though he loves himself as the "giocologo". He has been living in Rome since the birth. 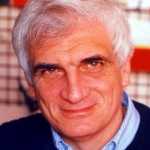 He was a professor of mathematics and computer science before starting to work to spread the value of riddle games, collaborating with various major italian newspapers and magazines. On "Linus", a national magazine, he managed and authored the section of games since 1995. As a riddler, he is particularly interested in anagrams and he is the author of several riddles and crossword puzzles.It proposes annually, ON the Internet, a challenge called "The Hardest Crosswords in the World". He has published several popular books on language games and math games. Luciano Pietronero studied physics in Rome and was a research scientist at Xerox Research in Webster (1974) and Brown Boveri Research Center (CH) 1975-1983. He then moved to Univ. of Groningen (NL), where he was professor of Condensed Matter Theory (1983-87). Since 1987 he is professor of Physics at the University of Rome "Sapienza”. Founder and director of the Institute for Complex Systems of CNR (2004-2014). Broad international experience in academic and industrial enviroments. The scientific activity is of both fundamental and applied nature, with a problem oriented interdisciplinary perspective. Development of novel and original views in all the areas of activity. Leader of a generation of joung scientists who are protagonists of the complexity scene internationally. In 2008 he received the Fermi Prize (highest award of the Italian Physical Society). Chess grandmaster, two-time Olympic champion. Judit Polgar is considered the strongest female chess player in history. At the age of 15 she broke Bobby Fischer’s record and became the youngest grandmaster at the time. She has been ranked the world number one female chess player for over 25 years, and on the occasion of this exceptional achievement she was awarded a Guinness Record. In August 2014 she won the silver medal at the Chess Olympiad, and announced her retirement from competitive chess. 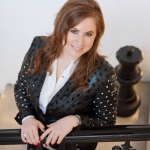 Judit established the Judit Polgar Chess Foundation and together with her team has developed the Chess Palace educational programme using chess as an exceptional learning tool to facilitate development of children and to enable deploying their talent and creativity through chess. Andreas Roepstroff, Ph.D. is Professor, Center of Functionally Integrative Neuroscience and Department of Social Anthropology, Aarhus University / Aarhus University Hospital, Denmark. As an anthropologist in neuroscience, Andreas tries to maintain a dual perspective. He studies the workings of the brain, particularly at the levels of consciousness, cognition and communication. He is equally interested in how brain imaging, as a field of knowledge production, relates to other scientific and public fields. 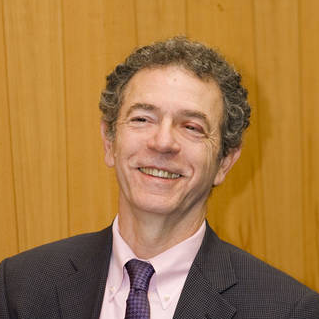 Luc Steels studied linguistics at the University of Antwerp (Belgium) and computer science at the Massachusetts Institute of Technology (USA). His main research field is Artificial Intelligence covering a wide range of intelligent abilities, including vision, robotic behavior, conceptual representations and language. In 1983 he became a professor of computer science at the University of Brussels (VUB) and in 1996 he founded the Sony Computer Science Laboratory in Paris and became its first director. Currently he is ICREA Research Professor at the Institute for Evolutionary Biology (CSIC,UPF). 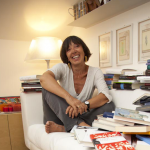 Annamaria Testa works on creativity and communication topics. She has taught at several italian universities. Since 2007 she is teaching fellow at Bocconi University in Milan. Since 2008 she has been editing the non-profit website Nuovo e Utile, on creativity theories and practices. She held courses at Sapienza - Università di Roma (1994-95), Università degli Studi di Torino, Università degli Studi di Milano (2001-02), and Università IULM (1998-2006). Since 2007 she is holding courses at Università Bocconi di Milano. In 2012 she enters the "Italian Art Directors Club" Hall of Fame, and she is the first woman in the 25 years of activity of the Club. She has written several essays. 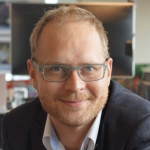 Bo Stjerne Thomsen is the Director for Research & Learning in the LEGO Foundation, and heading up the research project and academic network on play, learning and creativity. 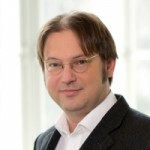 Stefan Thurner is a theoretical physicist and economist by training and pursues research in the area of complex systems ranging from statistical mechanics of complex systems to regulation of financial markets and analysis of big social and medical data. He is professor for science of Complex Systems at the Medical University Vienna, external professor at the Santa Fe Institute, and a senior researcher at IIASA.